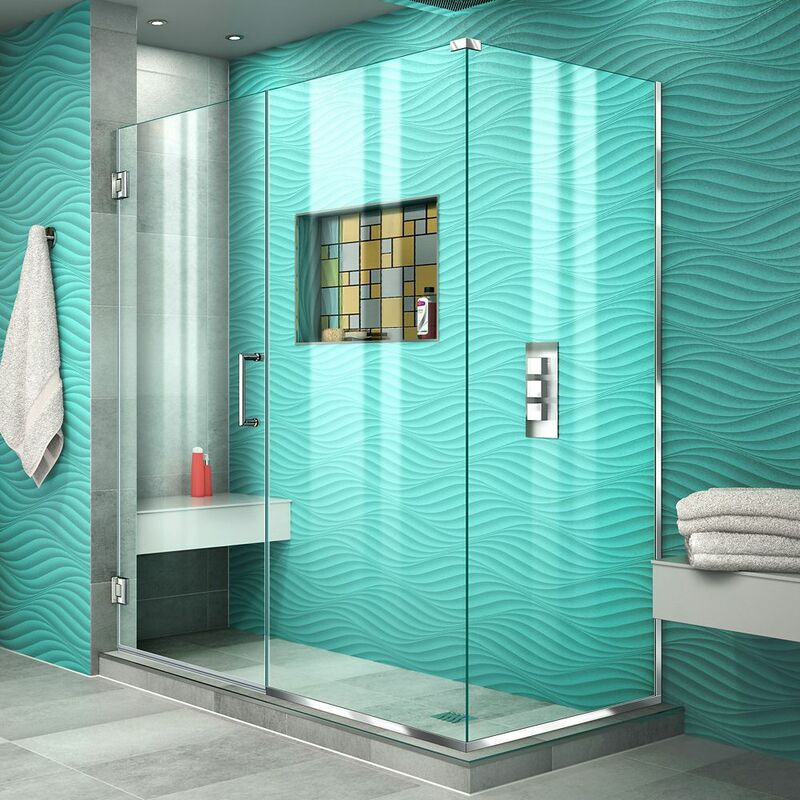 Unidoor Plus 30-3/8-inch x 55-1/2-inch x 72-inch Hinged Shower Enclosure in Chrome is rated 5.0 out of 5 by 2. Rated 5 out of 5 by Patti from Beautiful shower My contractor built a custom shower using your door and panel and it's huge. I am so happy with the look. It's a beauty. Rated 5 out of 5 by NOLA from Solid Quality Great shower pan and glass kit, in quality, looks and feel. Installation was easy and the customer service was spot on and very helpfully and responsive.